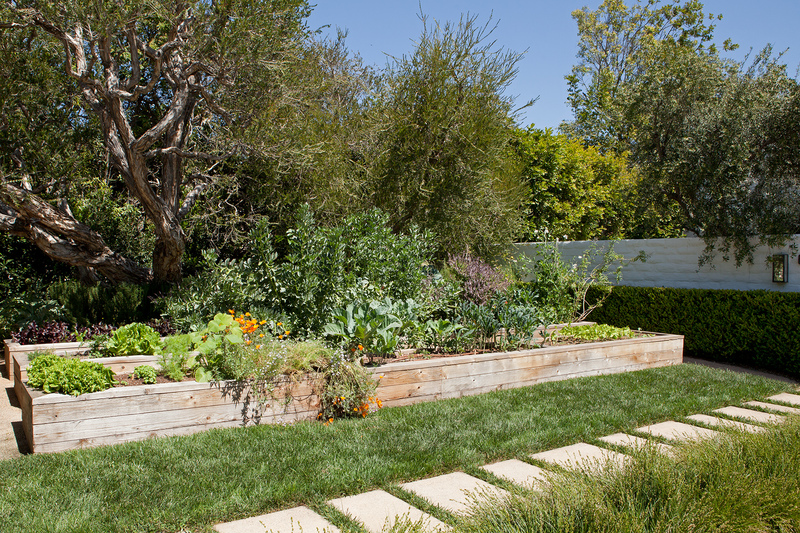 Upon entering this garden, the simplicity of the landscape invigorates the senses. 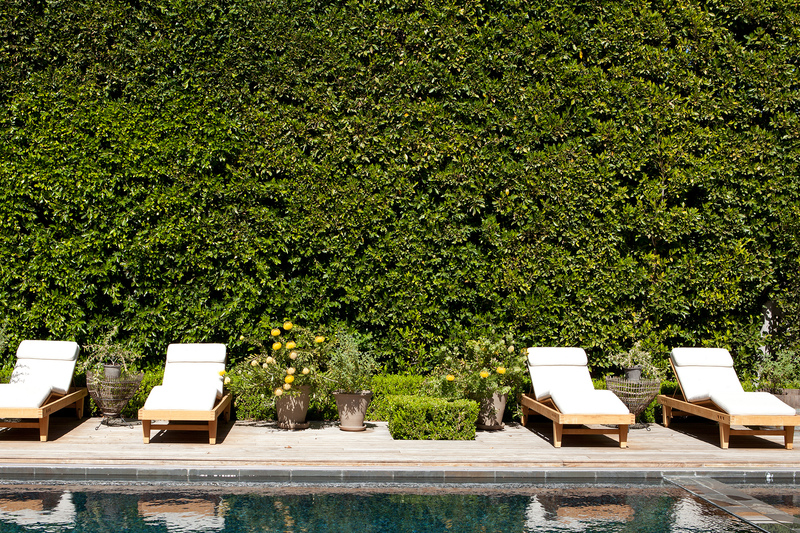 Through editing, simplification, and a minimal yet intoxicating palette of materials, we transformed and personalized this garden. 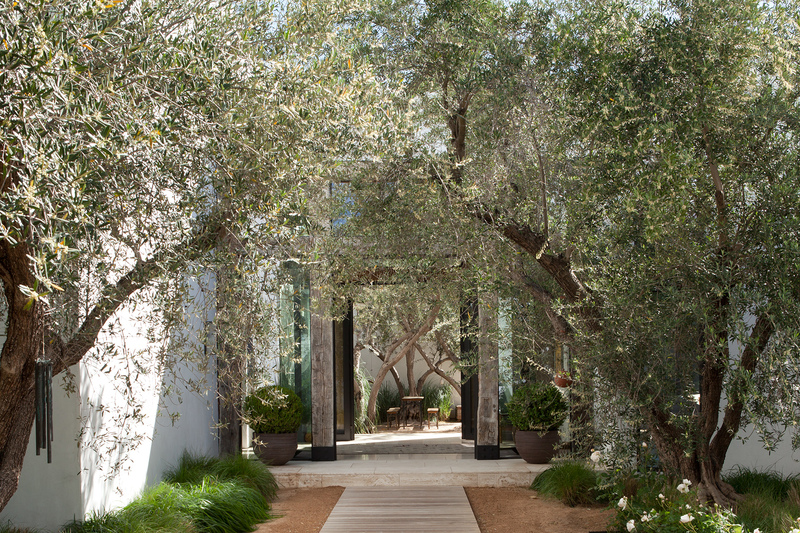 White roses paired with grasses provide a striking juxtaposition of images: simple elegance set in a rustic Californian backdrop under an informal allee of Olive Trees. Golden decomposed granite and a wood boardwalk meet a polished travertine entry. Orange trees contained in rustic wood pots recall the agricultural history of Southern California. 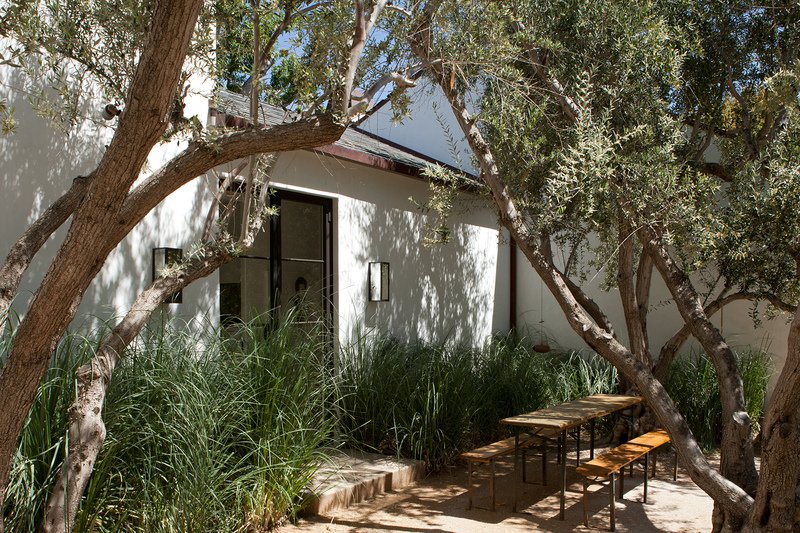 Olive trees planted in decomposed granite provide shade at the dining court wrapped on two sides by Dwarf Pampas Grass. The design results in a sparing use of materials that is luxurious throughout.